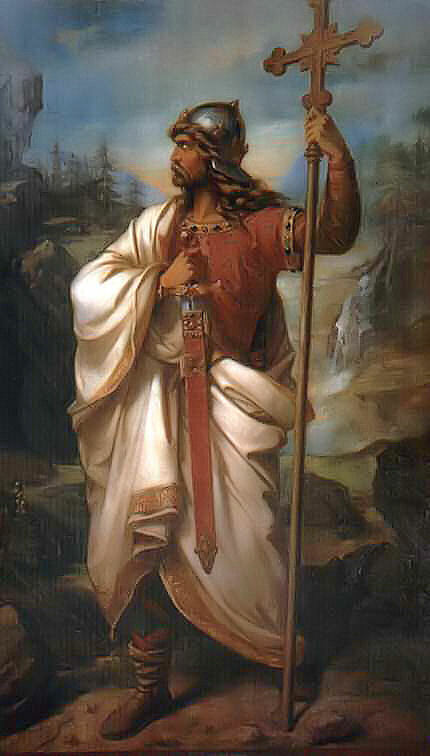 The ensuing battle of Covadonga, fought probably on 28 May 722, was a great victory for Pelayo, for “thus liberty was restored to the Christian people…and by Divine Providence the kingdom of Asturias was brought forth.” Among the Asturians the battle of Covadonga became the symbol of Christian resistance to Islam and a source of inspiration to those who, in words attributed to Pelayo, would achieve the salus Spanie, the salvation of Spain. Joseph F. O’Callaghan, Reconquest and Crusade in Medieval Spain (Philadelphia: University of Pennsylvania Press, 2003), 5. This entry was posted in Medieval Chivalry, Medieval Saints, Middle Ages, The Spirit of the Middle Ages and tagged elites, honor, Leaders, Monarchy, nobility, Reconquista, Short Stories, Spanish Reconquista, War by RTO.org. Bookmark the permalink.